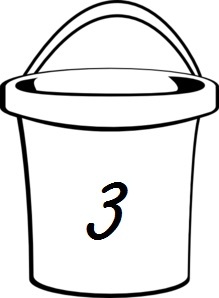 In a post-apocalyptic setting, Deedra leads a quite simple and boring life. Her days consist of working on an assembly line at the local factory and scavenging the area for extra food. When Rose, a gorgeous boy walks across the river that divides two territories, Deedra’s life begins to change. In a whirlwind of adventure, After the Red Rain will have you reading ahead, impatient to find what happens next. Barry Lyga is one of my all-time favorite authors. If a book is written by him, you can bet that I’ll already have my nose in it. His books usually consist of serial killers and thought-provoking plots. 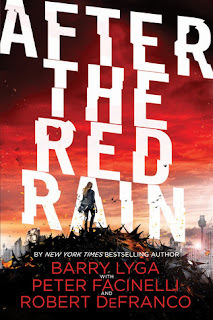 When I heard about After the Red Rain, a dystopian novel written by Lyga, and—two famous Hollywood names—Facinelli and DeFranco, curiosity struck. Unfortunately, it was a disappointment. World building is incredibly significant in any dystopian novel. Readers have to understand what happened before the plot even gets rolling. Red Rain lacked that element until the very end—which is a bit too late to be describing a world that readers will be exiting in a matter of pages. However, the curiosity of the world and its characters drove me to read further. As a standalone, these authors put in the perfect amount of character development. As much as I think they were pushing for a strong female protagonist, I found Rose to be the true lead of the book. 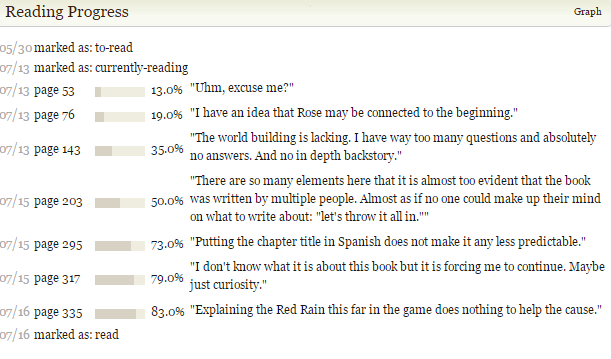 At first, Rose was just a boy with an incredibly strange name (which I will refrain from commenting on further as the characters in Red Rain teased him enough about it) but it becomes evident that looks are not deceiving when readers discover he has certain abilities. It was this discovery that made me realize how predictable Red Rain was; not only with the character but with almost every plot twist, there was blatant foreshadowing. Putting a chapter title in Spanish is not clever when giving away what happens in the coming pages. Google translate was only too eager to help me out, spoiling the end of the book. Despite the predictability, all readers must require a basic knowledge of flowers and how they work. These authors offend every reader, naming a boy Rose with special powers (can you guess what they are?) only to expect—from those same readers—them to know all about photosynthesis. The plot serves as a dizzy, wild ride which doesn’t begin until well after page 100. Before then, Red Rain sets up the elements and puts them in place as if this were a chess board rather than a YA dystopian. However, there were too many elements in play, especially in the beginning. It is most common in books written by multiple authors, where they may have had trouble making up their mind about something in the plot so they decide to throw everything in. Female protagonist who has something about her that makes her different, check. Boy with special powers, check. Evil scientist, check. Post-apocalyptic setting, check. Murder and investigation, check. Romance, check. Truth serum, check. The list goes on. It’s too much. It doesn’t make the plot any more complex; it just makes the plot more difficult to focus on which only frustrates readers more. Despite my disappointment, After the Red Rain is an original adventure that takes place in a terrifying world where only half our population still live. This page-turner frightens readers and forces them to imagine a life where this is the reality they must face. Barry Lyga, Peter Facinelli, and Robert DeFranco’s After the Red Rain will keep you on the edge of your seat, hoping everything turns out okay in the end. Oh I had high hopes for this book. you are right. Dystopians need time to explain and describe. thats half the story.